The need: The Dairy Farmer Wellness and Wellbeing program is a multi-agency approach to improving the health and wellbeing of the people in the New Zealand dairy workforce. In 2013 the program encompassed six projects delivered by different contractors, and was jointly funded by DairyNZ and the Ministry of Primary Industry’s Primary Growth Partnership. 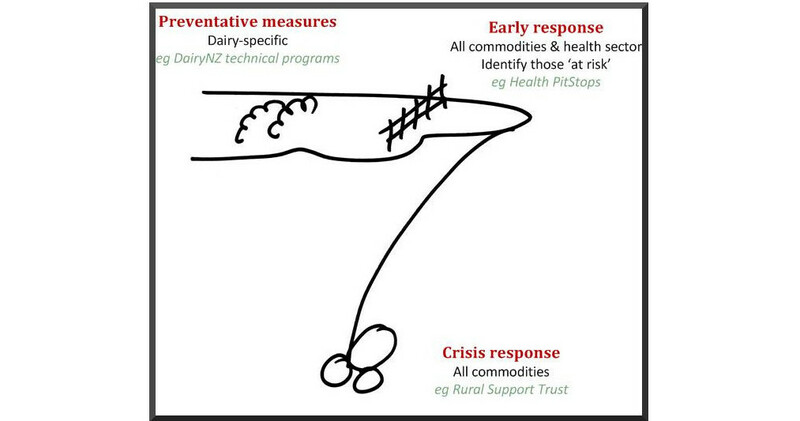 DairyNZ wanted an independent review of the progress being made at the midpoint of the funding cycle. What we did: The Harris Park Group delivered a mid-term review based on a desktop audit and discussions with 21 key informants who were passionately committed to farmer wellbeing. The review identified key achievements of the program and suggested changes to the approach to help it achieve the desired outcomes. The evaluation report was for an internal (DairyNZ) audience.